THINGS ARE LOOKING UP. The now-shuttered Anthony School outside Mondovi could be the home of a new charter school for children in grades six through 12. The school would utilize project-based learning. Choices: We all want them. Whether it be choice in what we buy, how we live, what we eat, who we support, what we want to be when we grow up, choice matters. But when it comes to educational opportunities and programs for local students, choices are limited in the Chippewa Valley. Local school districts are struggling with accommodating all students who would like to enroll in alternative opportunities, and some established alternative programs don’t have district support to sustain their work or meet demand. In the Eau Claire Area School District, the Chippewa Valley Montessori Charter School, which provides choice at the elementary level, cannot accommodate the number of families seeking an alternative educational opportunity. Moreover, if a family wants alternative educational opportunities at the secondary level, families are often forced to enroll within a different district or a private school, or make the choice to homeschool. 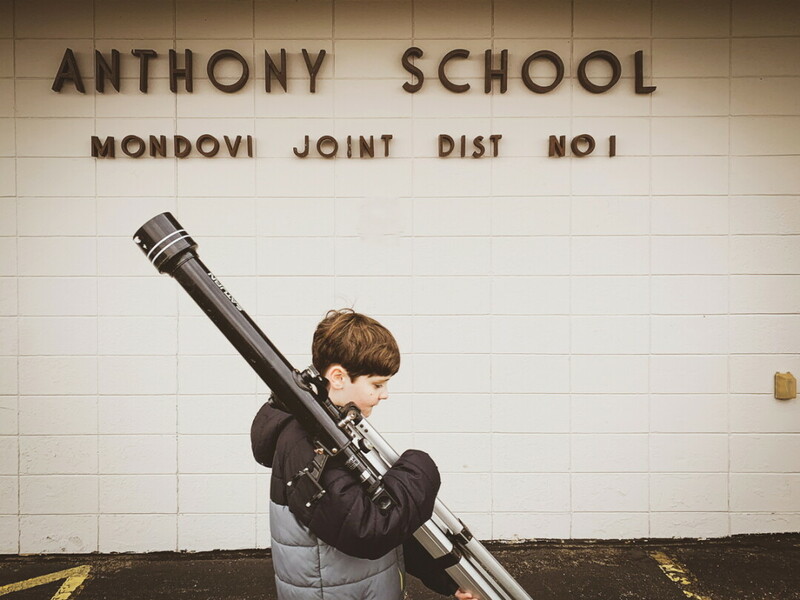 The Mondovi School District, the Initiative for New Directions in Education (INDE) organization, and members of CESA 10 are hoping to offer alternative educational opportunities through the conceptualization and creation of the Anthony Acres Charter School. Starting in the 2020-21 school year, the district plans to repurpose the former Anthony School – which is located on Highway 37 about 11 miles south of Eau Claire – into a nature-based, public charter school open to grades 6-12. The school – called Anthony Acres Charter School in the grant proposal – will reflect the Mondovi region by focusing on the environment, conservation, agriculture, industry, and technology. “It will be a growth process in connection to the community,” said Tim Nordin, the INDE charter school coordinator. Students will use a project-based approach to learning and connect those skills to solving real-world problems in the community. Project-based learning and education outdoors teaches students to interact and solidify their learning with nature across all subject areas. The collaboration doesn’t end in the classroom: The school would be looking for community partnerships to enhance student learning and growth as well. At Anthony Acres, a connection between local businesses, community needs, and tangible student-learning outcomes are being proposed. The collaborators within the Mondovi School District, CESA 10, and INDE are keeping all ideas on the table, including the concept of developing a student-led organic farm that produces salsa to be processed and sold to the public. “I think this will be especially beneficial to students who want autonomy over their learning, enjoy outdoor activities, or have an interest in agriculture and entrepreneurship,” said Anna Rybicki, community relations coordinator for INDE. According to an article written by Dr. Nick Hillman, associate professor in educational leadership and policy analysis at UW-Madison, 7,700 high school students in Wisconsin migrated to other states after high school graduation in pursuit of higher education in 2014. The Anthony Acres planning team is working to promote college and career readiness after high school as well as promote investment in the area they were raised. In other words, the charter school is hoping to create bonds and values within the community hoping students will want to stay (or at the very least, come back after a certain stage in their life) and grow within the region. The repurposing of an older school, the development and training of educators potentially new to a different way of teaching and learning, and the promotion of community outreach sounds like a million-dollar idea. And it is, but the group hopes the bulk of the public charter school startup funding will come from a federal grant. After an intense national competition, Wisconsin was one of nine states to receive a federal charter school grant award to be used in the development of public charter schools. According to the State Department of Public Instruction, Wisconsin was awarded the most federal money – $95 million – 90 percent of which is to be used as subgrants as a way to support the start up, implementation, and growth of public charter schools, like Anthony Acres. Anthony Acres is eligible for up to $800,000 in grant funding based on its proposed size and grade levels served. The Anthony Acres planning team, currently composed of members of the Mondovi administration team, teaching staff, and community members, as well as members within INDE and CESA 10, is working collaboratively to compete for the federal charter school grant money. To learn more about INDE initiatives, visit www.inde-ec.org or search for “Initiatives for New Directions in Education” on Facebook. The public is invited to attend Pizza & PBL, a Community Discussion About Project-Based Learning from 6-8pm Wednesday, Jan. 9, at the L.E. Phillips Memorial Public Library. INDE will talk about PBL, give updates on local proposals for alternative education offerings, and gather input from those in attendance. Dinner and free childcare will be provided, but space is limited. Attendees are asked to register at www.inde-ec.org/pizza.